Caleb Shannon is a second year Doctor of Music-Saxophone Performance and Literature student at Michigan State University, where he serves as a graduate teaching assistant for Professor Joseph Lulloff. He has placed in numerous competitions, including the third place in the 2016 Music Teacher’s National Association Woodwind Young Artist Competition and Winner of the 2016 Naftzger Young Artist Competition in the woodwinds division. 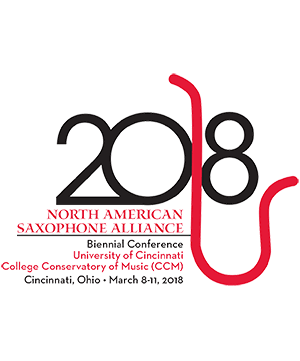 As a member of Knoblock Project saxophone quartet, he was a national finalist in the 2015 Music Teacher’s National Association Chamber Music competition and the 2014 North American Saxophone Alliance Quartet competition. Originally from Bowling Green, Missouri, Caleb received a Bachelors of Music-Performance degree from the University of Missouri-Columbia and a Masters of Music-Performance and Pedagogy from Oklahoma State University. His teachers include Professor Leo Saguiguit, Dr. Jeffrey Loeffert, and Professor Joseph Lulloff.